By default all the notifications on an android device appear only once and by chance if you clear them accidentally, then there is no way for you to know from which app were those notification from. But this is a limitation with phones and tablets running on Android 4.2 or below versions. The new Android 4.3 operating system brings in a lot of new exciting features and one of them is the ability to see the notification history. So if you accidentally clear the notifications on your phone running Android 4.3 or later, you now have the ability to view all the old notifications. There is no specific app or settings that needs to be enabled to view all the old notifications on your phone. 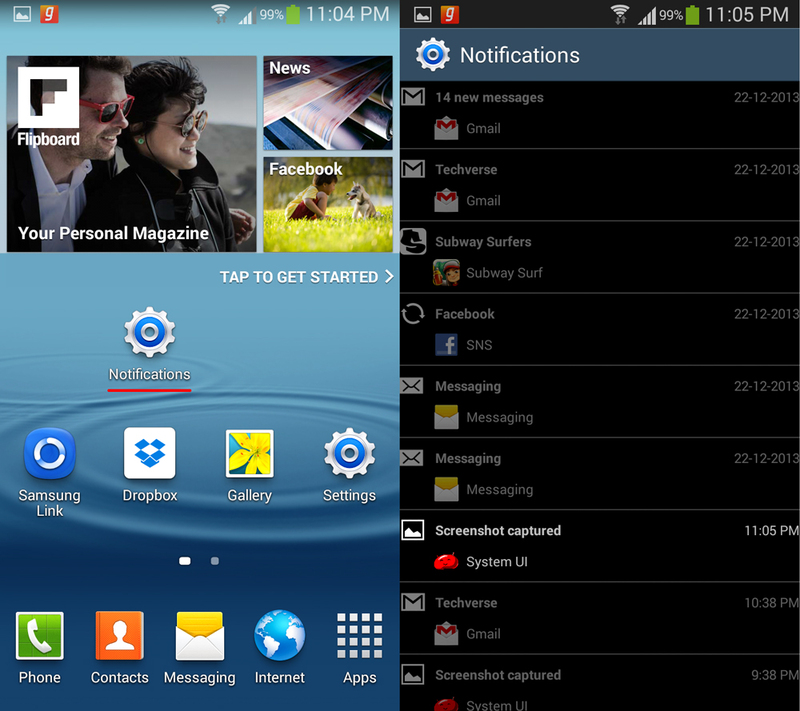 The notification history can be viewed by enabling a widget on your Android 4.3 phone. 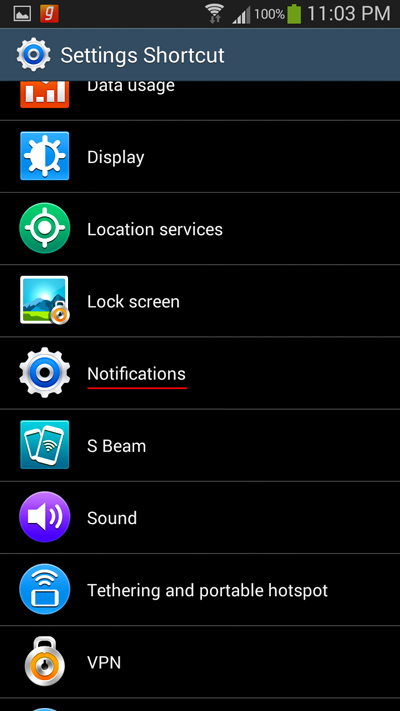 So here is how you can view the old notifications on your Android 4.3 phone. 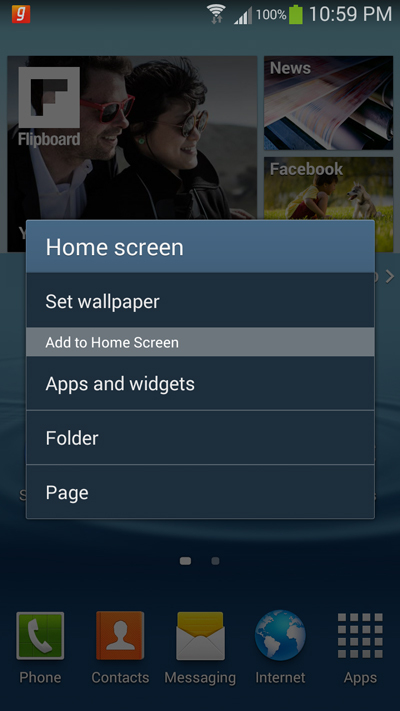 Step 1: Tap and hold on your phone’s home screen to bring up the homescreen options and Tap on Apps and widgets. Step 2: Browse through the widgets and Tap and hold the Settings shortcut widget and place it on your homescreen. Step 3: As soon as you place the widget on your phone’s homescreen, the following menu will pop up on your phone’s screen. Tap on Notifications to enable the notification history widget. That’s it, now you can tap on the Notifications widget on your phone’s home screen and view all your old notifications. The notifications which are dismissed will appear as dimmed and notifications which are bright are currently active.